It has been another fantastic year, I have learned so much this year and it brings me into a new year fresh and ready for new challenges. I have changed to riding a Tallboy 29er and feel comfortable with the move, I am looking towards being a mountain bike leader and using skills attained in biking over the years to help others achieve their goals. I've had a shoulder injury and hooping cough (seemed like Forever) which has stopped me from doing some of the big rides I had planned but all that has made me re-focus on this coming year. 2012 has been a great year for British Cycling with the Tour de France, Olympics etc, some of my friends have had a great year too. Steve Peat continues to dominate the downhill scene with consistent performances, Josh Bryceland is realizing his potential as world champion material again, just a matter of time really, and Greg Minnaar became World Champion for the second time. 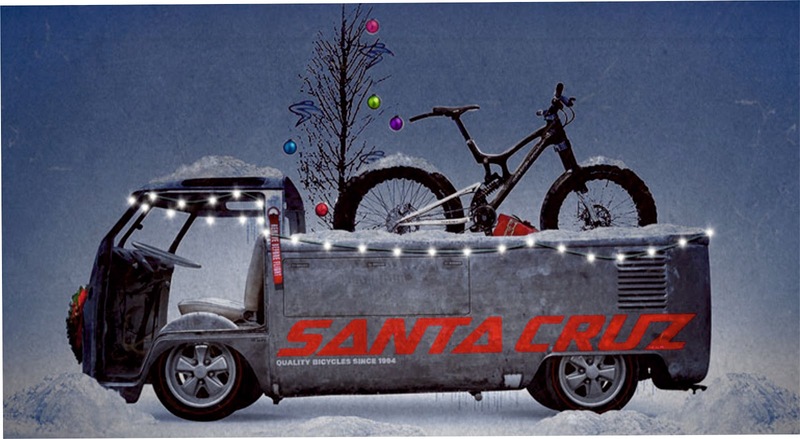 All the Santacruz team having a great year on the whole, it's so good to be part of the Santacruz network, but riding a Santacruz is good on Any day. I helped one guy train do a coast to coast ride he had wanted to do for years, 130 tough miles in 13hrs, for me it's sometimes about helping others believe in themselves and achieve things, nice to see him do it on my old Blur. 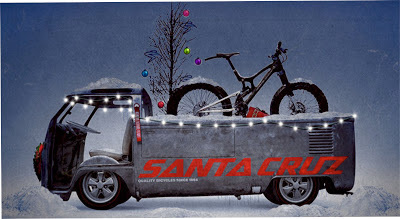 I have to thank many people for their support in 2012, Steve Peat, Santacruz, Stif, Royal, Craig at Evenort, Exposure, Nomad and Hedcamz, I look forward to working with them in 2013. All topped off at Christmas with Will and Maria becoming parents, congratulations. So here's to the new year, only we can make it what it is, remember in your life 10% of it is what happens to you, but 90% is how you react to it, Attitude is what makes the difference, lets give it 100% in 2013.